Are you looking for web design services in India or you have been searching for an Indian web developer to build your e-commerce website? Before you seek proposals from any web design company, you must know about the important features that must be included in your proposal. In this blog post, we will be sharing 7 important features that your e-commerce web development proposal must have. Let’s get started. Having a responsive website design is no more fancy now. It’s mandatory and even more important than ever. A. Users Experience: A responsive website makes the browsing experience of users better by allowing them to view the website on their respective devices. B. Search Engine Optimization: It’s no more a hidden secret that all of the major search engines like Google consider responsiveness of a website to rank it higher on search results. 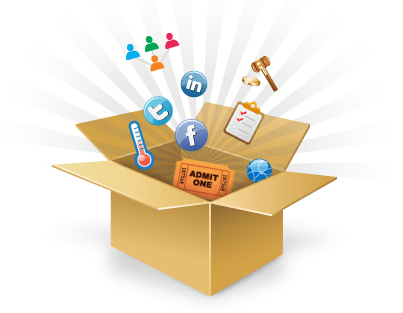 C. Social Media Marketing: Most of us are on social media, for one or another reason. Therefore, social media platforms have become an effective medium for all the web marketers to get traffic on their websites. We also know that most of the social media users access their accounts using their devices. Having said this, we can’t really emphasize the importance of having a responsive e-commerce to get more sales. To sum up on above points, it’s mandatory for any e-commerce website quote to include responsive features. This is another important feature or clause that your e-commerce web development proposal must have. In our past experience, we’ve come across many business owners who do have an e-commerce website for quite some time already that they wish to redesign but strangely, when being asked, they are not aware of the platform or technology that has been used to build their e-commerce website. While going through a web development quotation, you must pay attention on the platform or technology that your Indian web developer will use to build your website. Do some research and find out the pros and cons of using those platforms. D. Ability for admin to view important reports such as confirmed orders, abandoned orders, customers list, revenue, website traffic etc. E. Ability for Admin to change the shipping and payment modes easily. Security of a website, especially of an e-commerce website is as important as its existence in the first place. With the ever changing web technologies and increasing vulnerabilities, it has become important than ever to take care of the security of your e-commerce store. We would like to make a note here that most of the web developers do not pay attention to the security of their websites. But since you are the owner of your business, you must not miss out this critical feature. Having said this, do make sure that your website developer mentions about integrating the security plugins with your website. This sounds quite obvious but it’s very important to have clear cut mentioning of total web development cost (without any hidden charges) along with the timeframe. In order to avoid any possible dispute in future, clarify all of your doubts with your e-commerce developer, that are relating to the e-commerce development cost and delivery timeframe. What kind of service warranty is your web developer providing to you. They may have made verbal promises to you that they will always help you to fix the issues post-launch. Don’t go by words. Have them written in your web development quote. Most of the Indian web design companies and web developers provide a service warranty of at least 3 months. Just check this out because you can’t afford to miss this important clause in your e-commerce web development quotation. Website development is not a one time event. We all know this. This fact is specially applicable to e-commerce websites where you need to enhance it regularly to grow your sales. Therefore, you must insist upon mentioning of maintenance quote and the hourly charges of your web developer. Sometimes, the website design cost is nominal but the maintenance or hourly charges of few web designers is so high that you end up paying more than expected in long term. Therefore, you must have a clear clause for maintenance charges if you intend to upgrade or enhance your website in future. Looking For E-Commerce Website Quote? Contact Us!